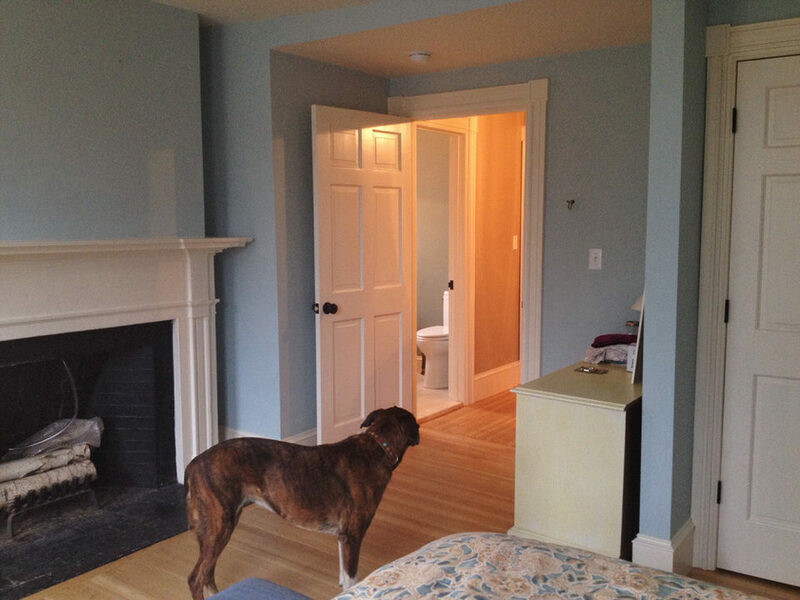 One existing bathroom served the three floors of this 1830s half-house condo when the homeowner approached KHS about adding a first-floor powder room and renovating the existing inadequate full bathroom that occupied a second-floor window bay next to the master bedroom. Without changing the building footprint and while respecting the character, details, and finishes of the antique home, we expanded the second-floor bathroom, created a second-floor laundry closet, and removed a narrow secondary back stair between the first and second floors to make room for a new powder room and built-in china cabinet off the dining room on the first floor and more breathing space in the office/spare room above. Reconfiguring the second floor stair hall, master bedroom and office/spare room allowed enough space in the adjacent full bathroom for a new custom shower stall and a large custom cherry vanity to replace the existing alcove tub/shower that blocked the window in the existing window bay. 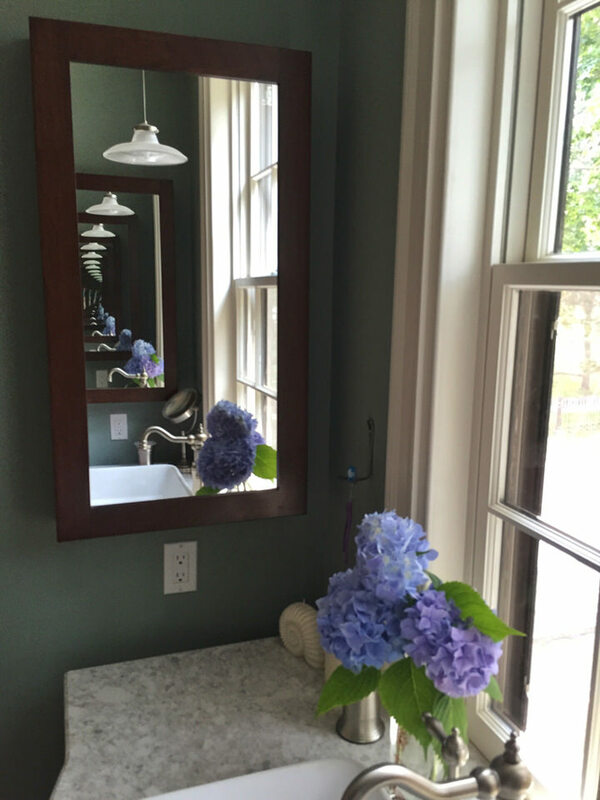 Matching custom cherry mirrored medicine cabinets on either side of the bathroom window bay are both practical and further bounce daylight into the space. 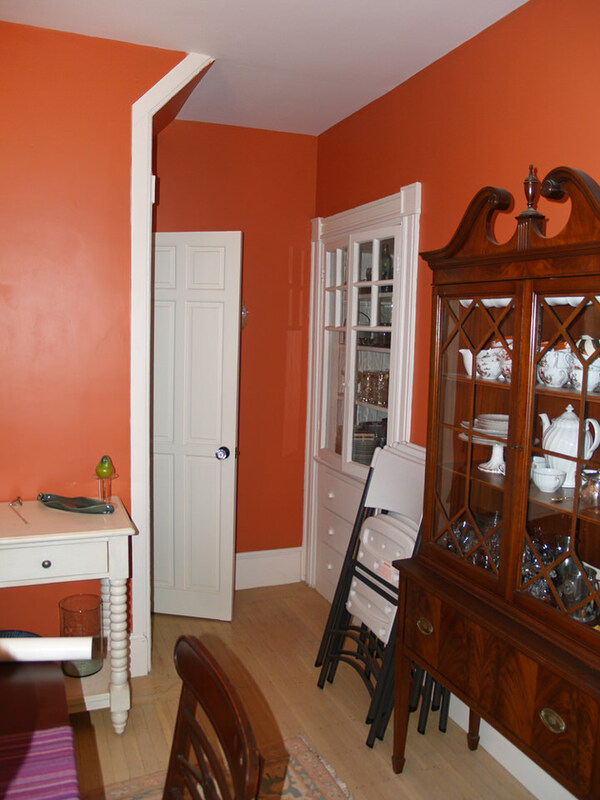 Downstairs, an existing small built-in dining cabinet that we removed served as a model for a new larger custom built-in next to the new powder room in space gained by removing the redundant secondary stair. The door that served the former secondary stair now accesses a large storage closet. 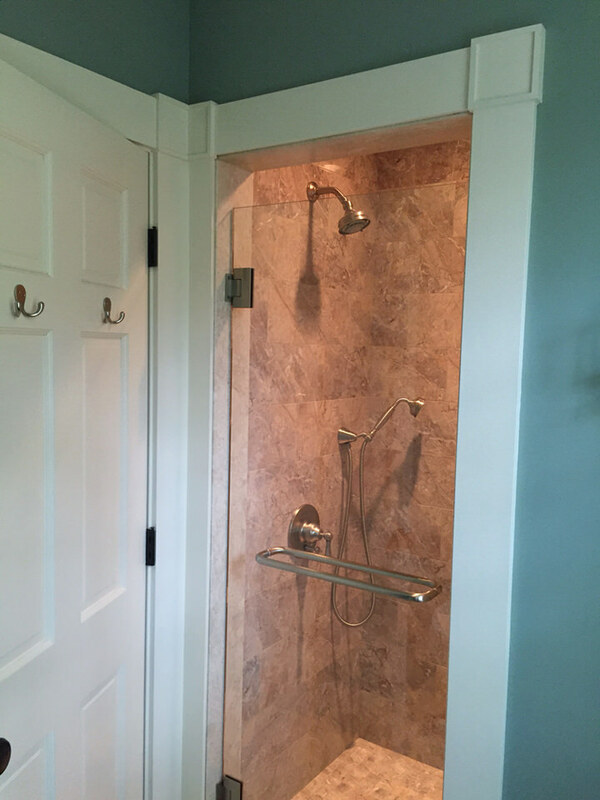 Several small, coordinated, carefully crafted moves dramatically improved the function and feel of this antique gem.